Another packed week of artist talks, meetings and writing deadlines and its already the end of the week. Before we get into this week’s TEN I have a request. I am DJing next Friday’s Walker After Hours party for the Event Horizon and Benches & Binoculars opening. I am opening the request line for songs that you think fit the exhibition themes or mood….or are just awesome tracks. Post them as a comment to this blog and will try to weave them into the mix. 1. Doctor Sam: Dr. Sam Willis is a board certified Family Medicine physician and visual artist who recently opened a new medical practice in the Northeast Minneapolis Arts District (1300 Quincy St. NE, Minneapolis, MN). Check out Wednesday Star Tribune article on how Dr. Sam Willis offers primary medical care that’s more personal and less costly by cutting out the middlemen. Dr Sam also has a exhibition space in his office featuring the work of local artists. On Tuesday, November 17 6:30 pm – 8:00 pm Dr. Sam is offering tour the clinic and learn more about his practice. Food and beverage will be served. The event is free, but please REGISTER online at springboardforthearts.org. 2. Artist Lecture with David Lefkowitz: Northfield artist David Leftkowitz talks about his current solo exhibition Other Positioning Systems Saturday November 14th at 1pm, at the Rochester Art Center. The exhibition is on view through January 10, 2010 but this a good excuse (if you are going to travel to see the exhibition anyway) to make it Saturday. Also checkout a new installation/public sculpture by Minneapolis artist Jennifer Danos on the exterior of the building. 3. American Craft Council is moving to Minneapolis: Its official! After 66 years in New York City the American Craft Council is coming to the Twin Cities. Reasons for the move include both economic challenges of remaining in New York. and the strength of the Minnesota craft community. This is a huge score for the Twin Cities and another indication of the vitality of the craft movement locally. 4. Local-to-Global Jewelry Artist Mart: Time to start shopping…or just treat yourself, its been a long week, right? The Walker welcomes more than a dozen international, national, and local jewelry artists and designers for this special event on Saturday, November 14. Among those attending are Nina Dinoff (Brooklyn, NY); Ann Lambrecht (Minneapolis); Tonia Kim (Chicago, IL); Grace Ann Hogan (Bayfield, WI); Amy Torello (Mexico City, Mexico); Kathy Frey (Nevada City, CA); Jennifer o*live Kraus (Chicago, IL); Carrie Hoffnagle (Des Moines, IA); Devon Driscoll (Minneapolis); Tia Keobounpheng (Minneapolis); Karin Jacobson (Minneapolis); Vickie Anderson (Madison, WI); Alice Roche (San Francisco, CA); Lauren Nicole (Minneapolis); and Alicia Piller (Brooklyn, NY). Additional special events include an opportunity to meet Minneapolis chocolatier B. T. McElrath and sample chocolates from 11 am–3 pm. 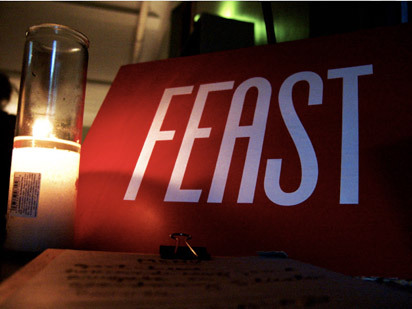 5.FEAST MPLS is a recurring public dinner designed to use community-driven financial support to democratically fund new and emerging artmakers. The concept By getting together and pooling money, wealth becomes a plural communal attribute. The wealth is then shared with people whose projects the community finds most the valuable to implement. Check out the proposals here. Each person attending FEAST is making a cash donation on a sliding scale to receive supper and a ballot. At the end of the night, you cast a vote for which of a handful of artists’ proposals should get the evening’s proceeds. The winning proposal is funded directly from the donations collected at the door, and the grantee is asked back to present the fruits of their labor to you—the patrons—at the next FEAST dinner. 7. 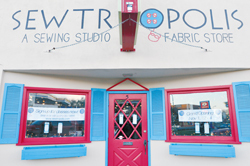 Sewtropolis: a do-it-yourself sewing studio and fabric store opened on Nov. 1 a few blocks from my house near the intersection of Diamond Lake Road and Nicollet. Its in the space of Auntie Em’s bookstore, which recently closed. The studio is equipped with Janome sewing machines, cutting and design tables, fabrics, scissors, threads, needles and patterns by hotpatterns.com. My wife and I are considering some classes that might finally lead to getting new curtains up in our house. Welcome to the neighborhood! 8. The Precious Object: Obsession, Collection and Desire: Artists James Cleary, Beth Barron, Andy Ducett and Ginny Maki explore topics of appropriation, memory, and desire at the last artist talk for the Precious Object exhibition on Tuesday, November 17, 7 pm at the Hennepin County Central Library’s Pohland Hall. This is a really intriguing and group of artists and I am excited to ask them about what their collection, how act of collection and selection influences their work and do they worry about ending up on that Hoarders show on A&E. 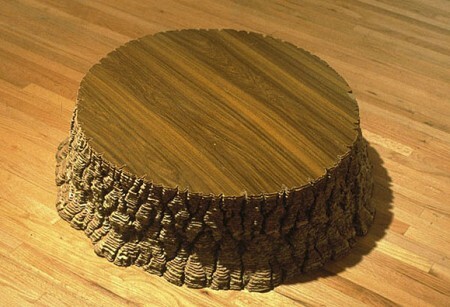 Also checkout the full online archive of the exhibition on mnartists.org. 10. Sesame Street Celebrates 40th Anniversary: One of the most influential programs of my childhood still continues to be relevant. NPR had a great piece on the 40 lessons of Sesame Street this week in honor of the 40th anniversary this week. One of my personal favorite clips is below in which Herbie Hancock demonstates his Fairlight synth/sampler to a young girl (Tatyana Ali) ewho later played Ashley in the Fresh Prince of Bel Air. I cannot overstate the impact of introducing electronic music and contemporary jazz to a young boy in rural Minnesota. Have a great weekend everyone.